Do you need a financial planner? Chances are, you do. You need a financial planner because you need the expertise and professional perspective of somebody who has the knowledge and experience in accessing the entire facets of developing and monitoring your financial plan. You need a planner because of your need to understand the financial impact of having an unexpected life event such as birth of a new child, major illness, or even inheritance; you need a professional planner to help you improve your finances; or simply, you need a financial planner because you just don’t know how and where to start. In choosing a financial planner, know what you want and need. Start by determining your general financial goals and specific needs. Are there any specific areas you are looking to focus on, like children’s education, enhancing your investment performance or reducing risk, protecting your family against unforeseen events like death and disability of the breadwinner, or leaving a legacy? Financial planners, just like doctors, have a full grasp of the financial planning process and may also have their own specialization. Browse through the internet, read articles, publications and even blogs related to finance. This may help you get more familiarized with the strategies and terminologies commonly used. Get referrals from friends, relatives or business associates who had good experience with an advisor. Ask them not just the strengths of the planner, but the weaknesses as well. Ask how frequent this person engages him, and most importantly how they arrive at decisions. This will give you a good idea whether the financial planner’s is something you’ll be comfortable with. A lot of the financial planning practitioners are in the banking and insurance industry. This means they may be performing a dual role. That’s fine. In fact, that’s a big advantage. It just means they have specialized in a particular field and yet, still perform the financial planning process. You just need to note they are not automatically one and the same. Meaning, a financial planner may be an investment advisor but not necessarily the opposite. Same with not all insurance agents, even if they call themselves as one, is a financial planner. There are a number of designations offered in the financial planning services industry but these are all private groups. 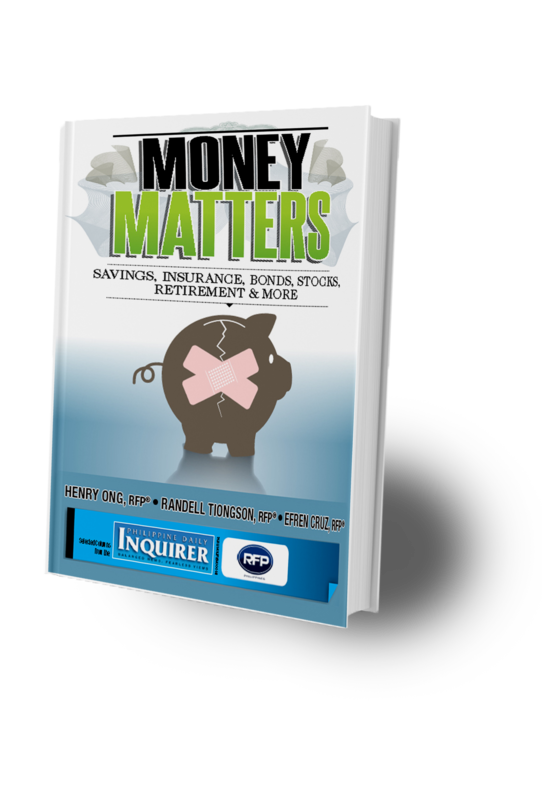 Unfortunately, there is no governing body in the Philippines that regulates this for you to become a professional financial planner. So take this as just one of the considerations in choosing a planner. One can be a professional financial planner even without these designations. So my best advice is, go beyond the titles or designations. Look for credentials, education, past works and experience, references, and areas of expertise. Interview at least a couple of potential planners so you can have a good point of comparison. Other than what I mentioned earlier, ask for specifics like: How long has he/she been in the practice? How frequently will you hear from him? Does he work with a team or alone? How does he arrive at his recommendations? Who monitors the plans of his clients and how does he monitor them in turn? What is his business style? Gauge the level of services he provides to his clients. And lastly, are you comfortable with him in your first meeting? You want a planner who puts your needs first. Look for evidence of his commitment to ethical standards. Believe me, everything becomes academic if you can’t even feel he can be trusted! Once all is done, get it in writing: Ask for the advisory agreement or engagement letter, nature and scope of the service, disclosures, compensation (is he paid with a fixed fee or purely commission-based) and potential conflict of interest. Though there is really nothing wrong in earning a commission or incentive per se from a sale, sometimes, these may just affect the decisions and recommendations provide to you. I’ve met with a lot of bankers and insurance sales agents that are very competent and professional financial planners. So it’s always best to know all of these things before you enter into a relationship. Choosing the right financial planner for you may be one of the most important decisions you’ll have to make in your financial life. This will not only affect you, but your entire family as well. Financial decisions today can make or break your ability to fulfill your goals. Take time, evaluate, ask around, and most importantly, enjoy the journey! 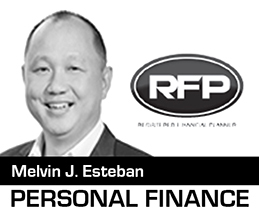 Melvin J. Esteban is the CEO of Motivating Minds and one of the lead lecturer for the Registered Financial Planner Program of RFP Philippines. Melvin is the first Filipino to win the prestigious “Young ASEAN Manager Award”. He has been engaged in the financial services industry for over 20 years in various capacities such as wealth management, learning and development, portfolio management, and segments marketing. Next: How Do Cash Flows Affect Stock Returns?